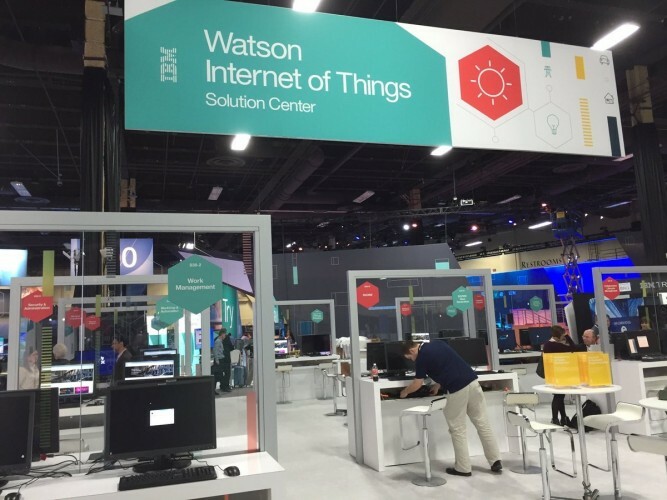 IBM Interconnect 2016 is the premier cloud and mobile business conference hosted in Las Vegas by the MGM Resorts at the Mandalay Bay and MGM Grand. I was asked by IBM’s Global Technology Solutions (GTS) to be one of three social media influencers covering this event of 24,000 attendees looking for ways to improve their businesses together with IBM. The Sports Techie community blog was was a host of the IBM Sports and Entertainment Global Consortium Twitter Chat last month. 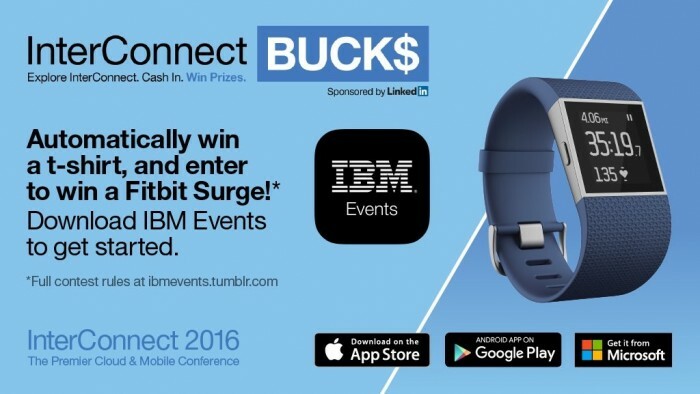 Thus far, the experience as a fan of IBM here at #ibminterconnect has been amazing because of the engaging people, compelling content and amazing exhibitors. The world of sport and tech has entered the cognitive era of technology highlighted by IBM Watson new smarter planet. 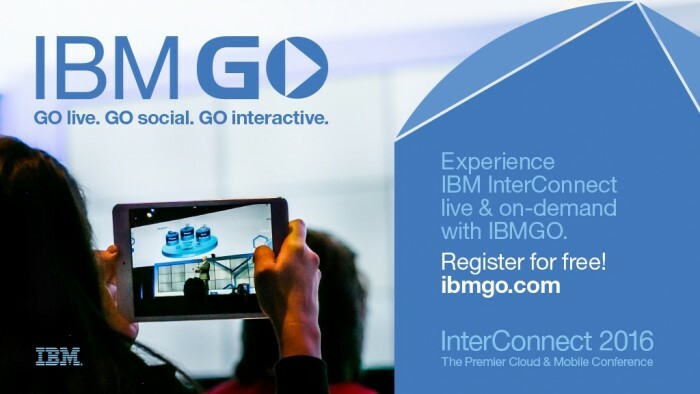 IBMGO, Go Live, Go Social, Go Interactive at Interconnect. My main purpose at Interconnect as part of the social influencer program is to attend special events including sports and technology sessions, daily breakouts and three General Sessions at the MGM Grand Arena where Elton John will play a concert for us on Wednesday. My task is to provide pre, live and post coverage of key GTS events while leveraging our social media assets with hybrid cloud togther with sports tech blogs and social posts on Twitter, Facebook, Instagram, and LinkedIn. Today, I am a guest contributor at the Great Lawn streaming live on Periscope at 3:15 pm ET talking about smart stadiums, social engagement and player performance together with John Short, Business Development Executive, Sports & Entertainment, Networking Services, IBM Global Technology Services, and fellow influencer, Russell Scibetti, founder of the Business of Sports, VP at Kore Software CRM and the first handle to ever tweet hashtag #sportsbiz. Yesterday was the first day of the conference highlighted by General Sessions Day 1, the opening of the Expo and my personal campaign to earn a top ten place on the IBM Events mobile app game where you earn points and a ranking based on rewards earned by using the app, scheduling sessions and scanning fellow attendee’s QR Codes, and event actions like sharing on Twitter, volunteering for Stop Hunger Now and various InterConnect Academy tasks. Sports Techie, it is an honor to be at Interconnect 2016 as a social influencer. I meet motivated, smart and kind tech loving people from all over the states and world everywhere I go, including Scotland, India and New Jersey. My IBM GTS app Ambassador is hard-working, informed and connected to many IBMers making this experience truly a life-time memory. Golf sims, running tech and robotics are just a few of the sports tech related experiences I have interacted with thus far. Fitness, health and wellness are important areas for all businesses, executives and sport to stay current with as to the latest solutions, products and gear so I will focus on those areas today as I attend various events throughout the day. Readers, followers and attendee’s can look forward to today’s live session at 3:15 pm EST titled: The Game – Sports and Technology, where the new Mercedes-Benz Stadium opening in 2017 and partnered with the IBM Global Sports & Entertianment Gobal Consortium will be a hot topic. We will also discuss IBM’s partnership with the renovated Kyle Field at Texas A&M university and the new fiber-optic, DAS and wi-fi, and additional infrastructure in place ensuring all 104,000 fans have reliable connectivity. Finally, the personalization of loyal fan will be discussed at the Great Lawn as well as performance tracking and analytics. Day two of IBM Interconnect is here and it’s time to learn more about Big Data and ways to outthink, #outthink.